Air tools, also known as pneumatic tools, are powered by compressed air. The jackhammer used in drilling holes on the road is probably one of the most well-known samples of an air tool. While factory workers and professional contractors are known to use this kind of tools, more and more homeowners and do-it-yourself enthusiasts have been using them for home improvement or vehicle repair. Air tools are lightweight, portable, easy-to-use, and can speed up work related to drilling, sanding, painting, or spray painting. They’re also of great use in remote locations that have little to no access to power. The biggest reason why people seek out air tools is that they allow jobs to be completed more quickly. You can get things done much more easily when you have access to pneumatic tools. The air drill that is being shown here is no exception. This drill is going to be able to make short work of any job that you have to do. The ergonomic design of the handle will ensure that you stay comfortable even when you have been working for a long time. This is a well-balanced drill due to the durable ball bearing construction. It was designed to reduce the amount of vibration, making it easier to use and helping it to last you for a very long time. This is a really good tool that is going to prove useful to you in a bunch of different situations. Trying to sand something in a manual fashion is a very tedious process. It can take you so much time just to sand a small surface area that it is disheartening to some people. This is not going to be the case when you have access to a pneumatic sander. 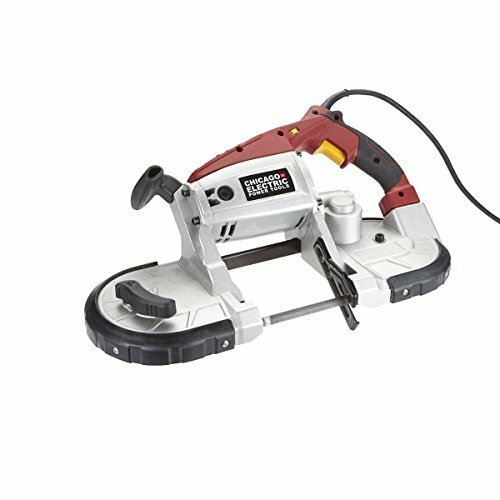 You will be able to work very swiftly to get your sanding completed when you have access to this tool. Pneumatic sanders have become far more common than traditional manual sanders in the modern era. You will be able to get one of these sanders at a fair price so it is a good idea to own one. These are very useful for many at home projects so you will certainly be able to get your money’s worth. These can be found just about anywhere that tools are sold. Owning a good socket wrench set is something that everyone should aspire to. These are handy tools that are going to be necessary when working on various things. Manual socket wrenches or ratchet tools are quite useful but pneumatic ones are even better. Owning a pneumatic socket wrench set will make your work go by in the blink of an eye. These pneumatic socket wrenches being shown off here are very useful. This set contains several different precision ratchets. You can make good use of these to take care of jobs around your home. This would make for a useful socket wrench kit for a professional as well so it comes highly recommended. Owning a pneumatic grease gun is going to come in handy. 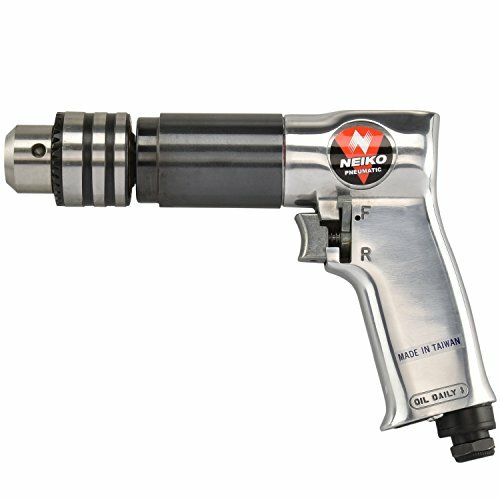 The powerful design of these air grease guns allows you to control the flow of grease very easily. It also features a very good pump that can keep the flow of the grease going continuously, allowing you to get your job done faster. This is going to make everything a lot more efficient so seeking out a pneumatic grease gun is a sensible choice. An air grease gun such as this isn’t the most inexpensive tool but it will be worth the price. When you take into consideration how well this tool works and how much easier it is going to make things, you will want to own one. You should be able to find these tools at large hardware retailers without any problems. Some smaller hardware stores may not keep pneumatic grease guns in stock but you should be able to track one down without any issues. When you need to use staples for upholstery purposes, it is a great idea to buy a pneumatic staple gun. This tool is going to allow you to work much more quickly and everything is going to turn out nicely. People use these types of staple guns for upholstery, trim molding, and other craft projects that require staples. You’ll love how easy this staple gun feels to use as it doesn’t take much getting used to before you are able to master it. This staple gun is very safe as well. It has several safety features that will keep you from accidentally firing staples. The trigger lock-out mechanism is an excellent feature and it will keep you from hurting yourself while you’re doing the job. The exhaust cover is multi-directional as well, ensuring that the exhaust will rotate away from the user. You’ll be able to feel safe throughout the entire time you are using this and it is definitely a recommended buy. People use these air-powered hammers to make both demolition and detail work much more simple. These hammers are very powerful and you will be able to break down various things with ease. The hammer being shown here is quite powerful, being capable of delivering up to 2,280 BPM. It can make quick work of many demolition projects for you and it feels really nice to use. The variable speed throttle that is equipped in this hammer makes it simple to control as well. You will feel as though you are in full control of your hammer throughout your time using it. Ease of use is great when you’re working with powerful tools such as this. These hammers are used by professionals and amateur carpenters both but the price tag may be a bit much for most novices. Owning a brad nailer is going to make a big difference when you need to use smaller nails. A normal hammer simply isn’t going to work effectively on these thinner nails so having a brad nailer around is going to make your job seem a lot easier. You can effectively drive all of the nails that you need to when using this powerful air tool. Despite its power, it’s actually easy to handle as it only weighs a smidgen over two pounds. This tool is also very durable despite being so lightweight. It comes in a very rugged aluminum casing, ensuring that you will be able to make use of this tool for many years. This is very handy to have in your tool collection and it will be a necessity when dealing with thinner nails. These brad nailers are affordably priced so don’t hesitate to pick one up if you’re in need. As you might expect, framing nailers are used for more heavy-duty jobs than brad nailers are. These framing nailers are capable of driving nails exactly where you need them to go. People use them for framing work and they can make getting the job completed a much quicker experience overall. The industrial design of this tool is going to make driving nails a streamlined process, allowing you to do your job at a high speed with great proficiency. These nailers are something that is used by professionals more than they are by amateurs. You won’t find framing nailers in the toolboxes of too many people who don’t work in carpentry or construction of some sort. Regardless, this is a very useful tool that will make certain tasks a lot easier. You will love having one of these if you are in need. Having a pneumatic speed saw is going to save your arm a lot of unnecessary trauma. Air compression completely changed the game when it comes to sawing things. What once used to be an arduous process is now a quick task that can be performed with great precision. This pneumatic speed saw is going to help you to cut things very quickly and you will be happy to save yourself time and energy. One of the best reasons to use a speed saw over a traditional saw is that it is much simpler to cut straight. You won’t be tiring yourself out and maintaining a straight cut is going to be a lot easier because of this. If you need to cut a lot of lumber, then it makes sense to have a speed saw. Purchasing one of these is going to be useful if you do construction projects on a regular basis. Riveting is something that requires a bit of skill and you want to make things as simple as possible for yourself. Having access to a high-quality riveter is going to make everything much more manageable so it is a good idea to seek out a hydraulic riveter. These air-powered riveters are going to be able to rivet whatever you need them to. You can work in a precise fashion with this hydraulic riveter and it will feel good in your hands as well. The model that is shown here is a tool that has proven to be popular with both professionals and novices. 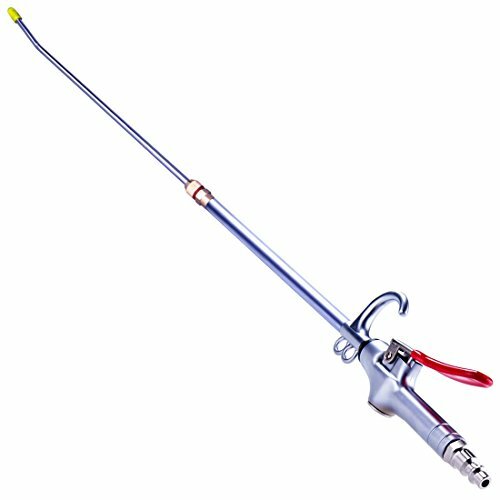 This air rivet gun is capable of doing a great job while operating much more quietly than many of its contemporaries. This rivet gun is going to be able to last you for a long time due to its durable design and high-quality build. Fastening aluminum rivets will be as simple as it can possibly be when you have access to this riveter. Making use of this impact wrench is going to make your job feel good. Using a high-quality tool such as this always feels as if it is a treat and you will love how well this impact wrench does its job. This tool features a handy three-speed power regulator that allows you to get the proper tension on whatever you are wrenching. The amount of torque you can get with this wrench is going to make working on your car or your tractor a simple prospect. This impact wrench was made with ease of use in mind. It is lightweight but it still manages to be very durable. The hammer grip feels very ergonomic and it won’t vibrate too badly at all when you are using it. It will feel very smooth whenever you are wrenching on something and this makes your job much more pleasant. People who work in construction buy impact wrenches to make everything go more smoothly. These tools will prove useful to anyone who needs to use a wrench on a regular basis. If you don’t want to have to use your own power to wrench something into place, then having an impact wrench around is going to be perfect. It can save you from needing to exert yourself and it will do the job more swiftly. If you need to get rid of rust, barnacles, or even soot, then you should get yourself a needle scaler. Metal surfaces need to be cleaned off properly. You need the right tool to perform this job to the best of your ability. A good needle scaler is going to be able to help you with this job, making quick work of all of removing all of these materials from the surface of the metal. You will find needle scalers that have different design styles. This one is a needle scaler pistol gun. The pistol design is very easy to use and has proven to be the most popular. This model is very precise and it will remove paint just as well as it can remove rust. You can have a better experience removing materials from metal surfaces when you have a pneumatic needle scaler at the ready. Of course, this is something that is more commonly used by professionals who need to clean up metal. You will be able to make use of this on your property as well if you would like to, though. If you need to clean up a rusty old metal bed frame or a car, then this needle scaler is going to prove to be very useful. It’s just good to understand that this is a specialty tool that not everyone is going to use in their lifetimes. It is a good idea to have some sort of a tire inflation tool available to use. You need to be able to fill up your tires when you need to and it might not always be possible to limp your car to the gas station where they have an air compressor. Some people refer to these tools as air compressors and others call them to tire inflators. They are both referring to the same thing so you should just recognize that this is a useful tool to have access to. Owning your own air compressor is going to be very important over the years. You may need it to inflate the tires on your tractor or your car. It will come in handy for many other reasons too so it is going to be worth spending a little money on this. The model being shown off here is portable and can be taken with you on the go to help in the event that you need to air up your tires. These pneumatic shears are made to cut through sheet metal. It is impressive how powerful pneumatic shears really are. They can cut through sheet metal similarly to how a pair of scissors can cut through a sheet of paper. You will need this tool if you are working with sheet metal and you need to make some cuts. Pneumatic shears are very good at what they do. You will be able to cut sheet metal with precision using this tool. This is going to allow you to do your job properly and you can enjoy a smooth experience. The pneumatic shears being shown here are very lightweight, making it simple to work for a long time when you need to. You will always feel as though you have good control over the shears and they will work well to cut through aluminum or plastic if you have a need. A die grinder is a necessary tool when you need to widen holes in metal. You may also use a die grinder when you have to fill in edges on a piece of metal. You can polish metal edges and define curves on pieces of metal using this fantastic tool. When you buy a quality die grinder, you can expect it to be user-friendly. This die grinder is compact and has an angled design. This makes working on metal a lot simpler and allows you to stay in a comfortable position throughout your time working. This also features a lock-off throttle so that you don’t start it up by accident. You’ll feel very safe and confident while using this die grinder. This is not a tool that is commonly purchased by novices or DIY enthusiasts. It is mostly a tool that is popular with professionals who need to work on metal. If you have a use for a die grinder, then you are going to enjoy having access to a high-quality tool that will do its job well. It isn’t an everyday tool but it is absolutely necessary for certain situations. This pneumatic blower is commonly used to remove debris such as dust. When you need to clean something that is inside of a machine or a vehicle, then this is going to prove especially useful. You can make short work of dust and grime by using this pneumatic blower. It is very simple to use and the blower is light enough to make using it for a long time not uncomfortable. These blowers are used to restore machines. The model being shown off here is an industrial blower that is perfect for cleaning things expediently. It has a high-quality build that is going to allow it to last you for a long time. If you need to clean something that is hard to reach, then using a pneumatic blower is going to be a great solution. Paint sprayers are very important when you want to be able to paint something as quickly as possible. Professionals often use these paint sprayers to make painting houses much quicker than it would otherwise be. These paint sprayers are actually capable of being very accurate so you won’t have to worry about it not being well suited for a large scale painting job. These may not be ideal for small detail painting but they are superb for painting large surface areas. You can buy a paint sprayer at a very reasonable price too. You will be able to purchase one of these without spending too much money and it will come in handy when you need to paint your home. These types of paint sprayers are used to paint cars as well but the process is somewhat different. Consider whether or not you are in need of an industrial paint sprayer and then make the purchase if it will prove useful to you. Having a pneumatic screwdriver might not seem as though it would be all that important at first glance. It is true that most people will be able to get by just fine with a traditional screwdriver. Having access to a pneumatic screwdriver will make the process a lot quicker, though. If you want to be able to screw things in very fast so that you can stay ahead of a schedule, then using a pneumatic screwdriver is going to be quite practical. This screwdriver comes in the popular pistol grip design. You can also find screwdrivers that are simply straight, just the same as a traditional manual screwdriver. The pistol design makes a lot of sense for a pneumatic device and this will seem very natural to use. You will be able to screw things into place very swiftly and being able to make short work of jobs is the primary reason why people purchase these. Screwdrivers such as this are definitely purchased more commonly by professionals. People who need to make sure that things are done as efficiently as possible will appreciate a pneumatic screwdriver. The price of this screwdriver really isn’t all that high so it would be practical for an average person to own one as well. Just decide whether you need the extra power of a tool such as this and consider your budget before moving forward.